What a treat to find such a Terra Cache.. great container all in very good condition. Took a few minutes to prise open as the seal is so good on these containers.. This is our fourth OC today and they have all been excellent so far. 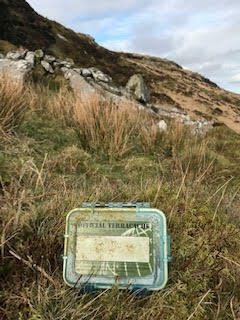 Noticed last visitor was Dartmoor Dave in 2016-- will have to remind him to log this.. thanks again for another great cache and location.